Eton Square is located in the Kingstowne area of Alexandria. The garden style condos have a brick and siding exterior with attractive archways. The generous amount of windows in the condos provide for wonderful natural light to fill each room. Some condos feature 2 level floorplans. Residents enjoy use of tennis courts, an outdoor pool, tot lots, and a fitness center. The neighborhood is conveniently located off South Van Dorn Street and Kingstowne Village Parkway. Living in Eton Square provides walkability to Kingstowne Towne Center. The center is home to two grocery stores, Kingstowne 16 Movie Theatre, Pasara Thai, East Moon Bistro. Bonefish Grill, Home Goods, TJ Maxx, Cava and many other dining and retail locations. Commuting from Eton Square is also convenient – the neighborhood is within minutes of 495, 395, 95, and Fairfax County Parkway. There are two metro stations nearby, Van Dorn and Franconia-Springfield. Hilltop Village Center and Springfield Town Center are less than five minutes away both with plentiful options for shopping, dining, and entertainment. Whether it’s daily needs, entertainment, or commuting Eton Square puts you within minutes of all of them. Eton Square is located on either side of Kingstowne Village Blvd. Depending on which side you live on will determine which school your children attend. Schools associated with the neighborhood are Franconia Elementary, Hayfield Elementary, Hayfield Secondary, Twain Middle, and Edison High Schools. You can visit the Fairfax County School boundary locator to determine which schools are associated with an address in Eton Square. Visit GreatSchools for more information about these schools. The following is a review of activity in Eton Square since February 2019. If you are contemplating selling your Eton Square condo use our home value tool for an instant free estimate of its value. For a more precise value reach out to us and let’s connect. We’d be delighted to learn about your selling goals and provide you with a free market analysis. Interested in buying in Eton Square? Contact us to be put on a waiting list to be notified when a new listing becomes available. We are well versed in the Alexandria real estate market and welcome the opportunity to earn your trust and business. Feel free to contact us with any questions you have about buying or selling in the area. Moving out of your condo? 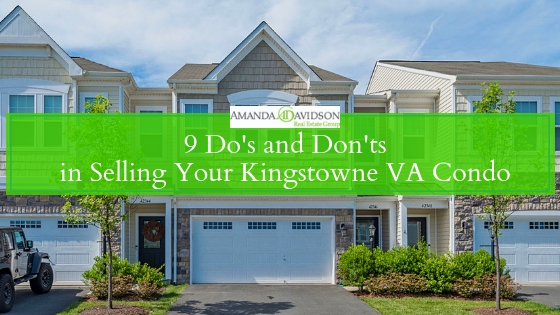 No matter how much you love your Kingstowne VA condo, the time will come when you'll have to move out and sell your place. Selling a condo is not the same as selling a single-family home. There are some unique challenges in condo selling that make it considerably more difficult than selling a home. If you're planning to put your condo up for sale, here are nine tips to make your property stand out in the market. 1. DO know how much your condo is worth. Price is one of the most important factors buyers consider in looking for a condo. When you price your condo too high, it scares off buyers, causing you to lose a lot of potential buyers. When you price it too low, you'll lose a good amount of money, which is not a good idea. The good news is you'll always have comps when it comes to condos because there are plenty of units in the building that are the same size. If you live in a condo complex which houses two to four condo buildings, you get a lot of comps, which makes pricing easier. Granted, there will be slight differences in price because end unit condos are considered quieter and can command a higher price, but with the help of your real estate agent, you can get a very good estimate of your condo's worth. 2. DO hire a real estate agent who is experienced in selling condos. One of the worst mistakes you can do in selling your home is hiring someone who has limited knowledge and no experience in condo selling. While a condo may not be as big of an investment as a home, it’s still a large financial investment. As such, you can't place it in the hands of just anyone. Consider the task of hiring a real estate agent for your condo a serious matter. Ask questions about his or her experience and skills. Ask for references. Make sure that you are placing your trust in the right person. 3. DO know your condo's rules regarding condo selling. Condos are managed by the condo association, and they have a long list of rules and regulations when it comes to condo living, as well as condo selling. Make sure you know what these rules are so you’re able to follow them. Signage is a big one when it comes time to sell. 4. DO keep all your documents in one place. Listing contracts, condo rules and regulations, receipts of any home improvements you've done, etc — keep everything together and put them in a safe place. Doing this helps make the selling process easier because you know where to find important papers. 5. DO highlight your assets. Condo units are pretty much all the same — in size, features, and amenities. Over the years, you've probably made some updates to make your home more appealing. Perhaps you've replaced the bathroom tiles and kitchen countertop. Maybe you've had backsplash installed. Perhaps you replaced the carpet with hardwood floor. When you plan to sell your condo, list down all its assets as well as the updates you've made. Doing this will help the buyer easily identify what makes your condo more appealing over others. 6. DO prepare your condo for the sale. Cleaning is the cheapest way you can get your condo ready for the market. Get rid of any excess stuff so you can make your living space look bigger. Clean your windows so more natural light can come in and make your home look brighter. 7. DO stage your condo to make it more attractive. Set up your condo in a way that will make it look inviting and relaxing. If you don’t know how to stage, seek help from your real estate agent or consider hiring a professional stager. 8. DON’T make costly improvements before selling. If you’re planning to sell your condo, don’t make any major improvements unless absolutely necessary. Simple cosmetic updates like painting, replacing door knobs and lights will provide a better ROI. 9. DON’T let your emotions control you during negotiations. One of the common mistakes I see sellers do is getting too emotional when they think the condo is being criticized by a potential buyer, and in the process lose out on a good deal. Remember that selling a home is a business transaction, and while you may have an emotional investment in the condo, the buyer does not. Selling your condo can be a great learning experience. Follow these rules to successfully sell your condo in Kingstowne. For more home selling tips, visit http://www.AmandaDavidson.com. Planning to sell your condo soon? Call me, Amanda Davidson, at 703-431-3755. Kingstowne is located in Alexandria Virginia and is a planned community of over 5,300 homes. It’s conveniently located about 12 miles outside of Washington DC. The community consists of condos, townhomes, and single family homes. Many locals consider 22315 the Kingstowne area and for the purpose of our condo market update that’s the zip code we’ll focus on. How Do Sale in November 2017 Compare to November 2018? 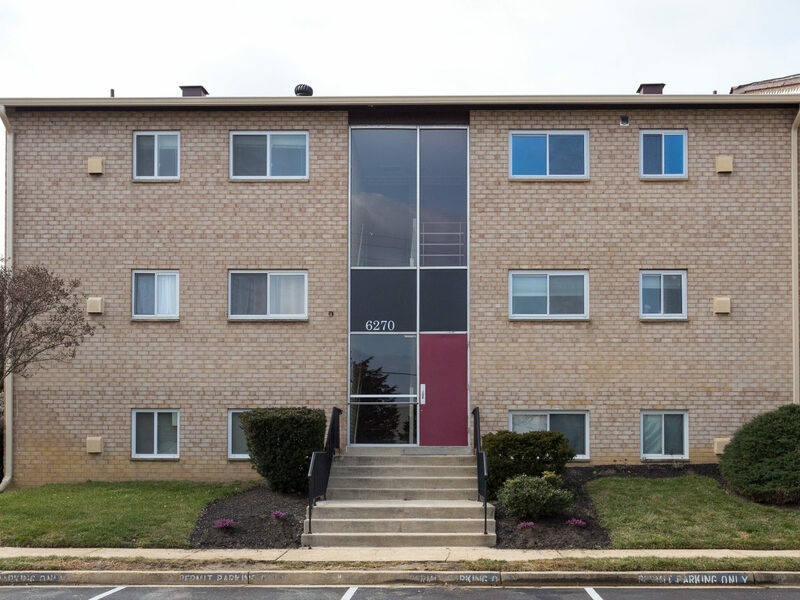 There are currently 6 condos for sale in Kingstowne. 3 of the condos for sale are located in The Crest Of Alexandria, a 55+ community located off Telegraph Road. Base pricing starts at $429,900 for a 2 bedroom, 2 bath. The non-age restricted condos for sale range from a 1 bedroom, 1 bath with 742 square feet priced at $233,600 up to a 2 bedroom, 2 bath with 1,277 square feet priced at $325,000. Inventory for condos in Kingstowne remains low. If you have been considering selling your condo now is the time to act. Every year we talk about it being a myth that winter isn’t a good time to sell. Homebuyers that are looking for homes now are serious. They’re not out touring because it’s a beautiful, warm, and sunny day. As a homeowner you can capitalize on low inventory and serious buyers in the current market. That said, proper preparation and pricing remain imperative for a successful sale. Buyers pass over properties that are overpriced causing them to sit on the market and become stale inventory. Find out how to boost your Kingstowne home value. If you’re interested in buying a condo in Kingstowne in most cases you still need to be prepared to act quickly. Low inventory drives condos that are priced correctly and show well to go under contract quickly. Have your pre-approval ready to go and work with an agent that has availability to work around your schedule in order to tour condos promptly as they come on the market. To receive a free estimate on what your Kingstowne condo is worth in the current market visit our free home value tool. Kingstowne is a planned community of over 5,300 homes. The community consists of condos, townhomes, and single family homes. Many locals consider 22315 the Kingstowne area and for our condo market update that’s the zip code we’ll focus on. How Do Sales in October 2017 Compare to October 2018? 8 condos sold in October 2017 with a median sale price of $292,750. Days on the market were higher, coming in at 18 and the median sale to list price ratio was 98.00%. The change in median sale price is an important statistic to take note of, a 13.3% increase. 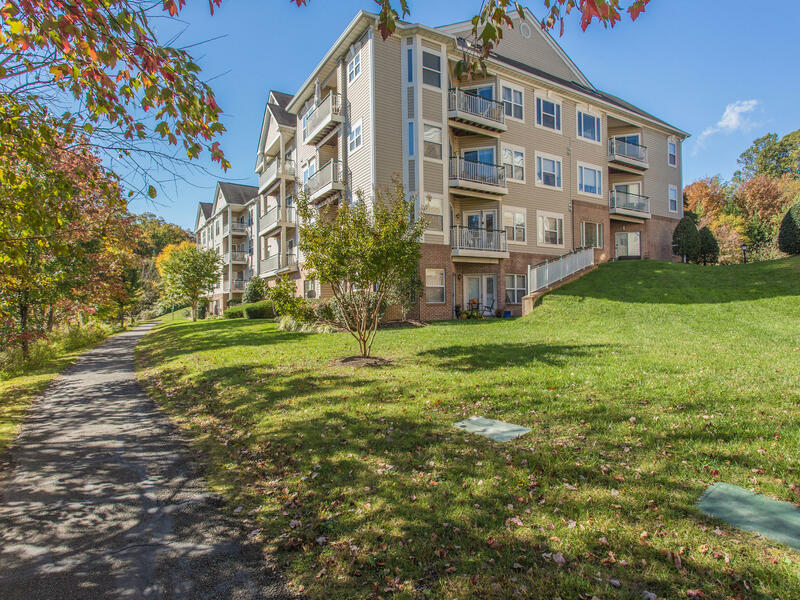 There are currently 10 condos for sale in Kingstowne. 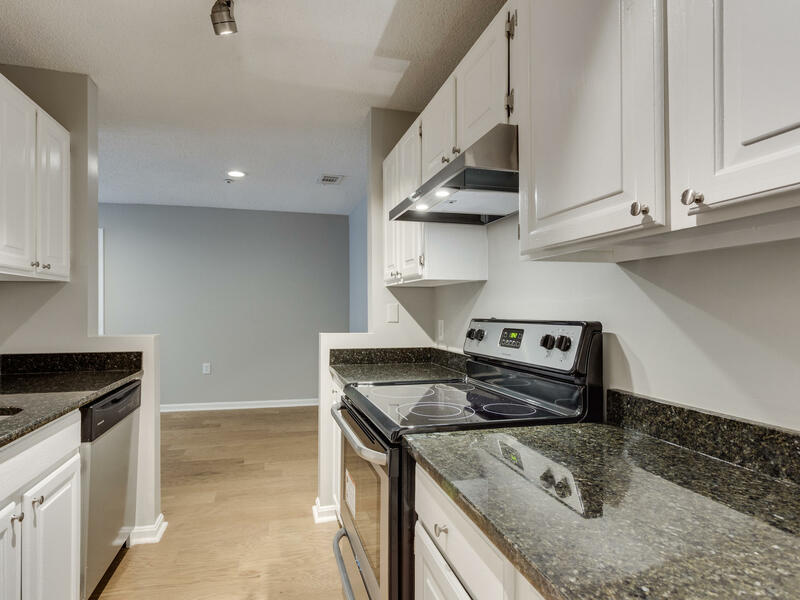 They range from a 2 bedroom, 2 bath with 1,053 square feet priced at $269,000 up to a 2 bedroom, 2 bath with 1,277 square feet priced at $325,000. The total number of condos for sale includes new construction condos at The Crest Of Alexandria, a 55+ community located off Telegraph Road. Base pricing starts at $429,900 for a 2 bedroom, 2 bath. Inventory in Kingstowne remains low and condos are no exception. Rising interest rates and the winter season have not slowed buyers down. 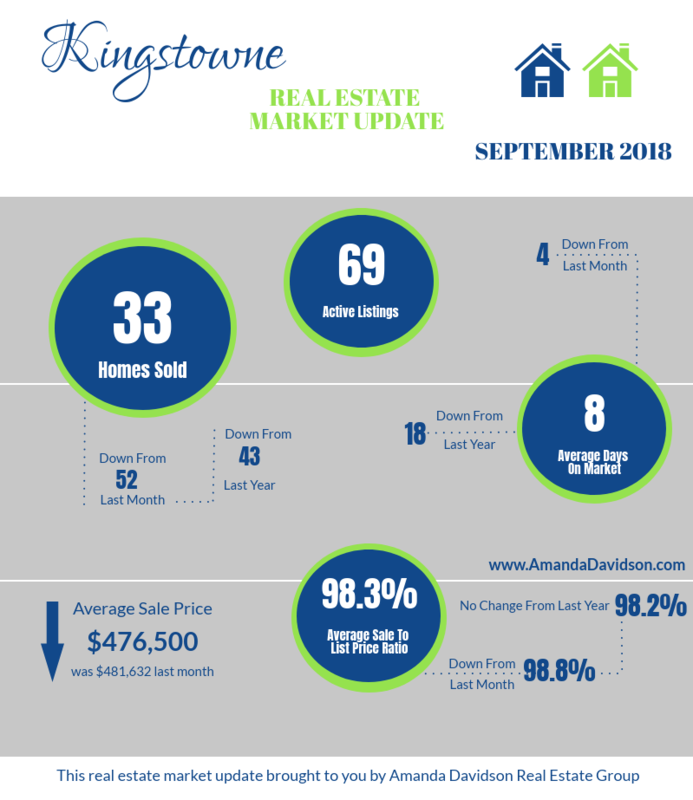 You can read more about the Kingstowne housing market in our October 2018 market update. Homes that have a reasonable amount of updates and that are priced according to the market are moving quickly. Sellers do need to understand that the market has changed from this spring when we were seeing 5, 6, 7+ offers on homes. That is no longer the case and if you try to chase the market your home is going to sit and be avoided by buyers. High days on the market and an inevitable price drop will cost you far more than pricing your home correctly from the start. It’s still a seller’s market but, buyers are looking for value in the form of homes that are priced according to the market. Pricing your home correctly and properly preparing it for sale will ensure a timely sale for the highest price possible. If you’re looking to buy a condo in Kingstowne it’s important to know that inventory remains low. Homes that show well and are priced correctly are selling quickly. There’s still a strong chance that if a home that has just come on the market that matches those criteria that other buyers will also be interested. Do not delay in making an offer when you find the home you want to purchase. Consult with your agent on the best strategy to take. Every neighborhood and property is different and understanding the current market trends is important to position your offer to be appealing to the seller. To receive a free estimate of what your Kingstowne condo is worth in the current market visit our free home value tool. 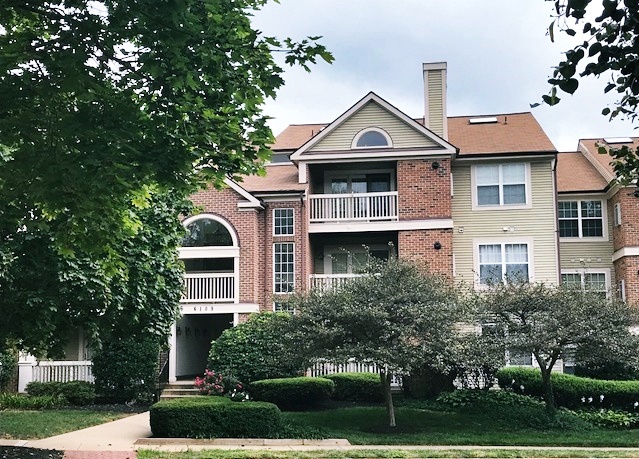 If you’re buying or selling a condo in Kingstowne and would like to work with an experienced agent reach out to us and let’s connect. There are over 1200 homes in the Island Creek neighborhood in Alexandria Virginia. The neighborhood is home to single family homes, townhouses, and two styles of condos; garden and townhouse style. 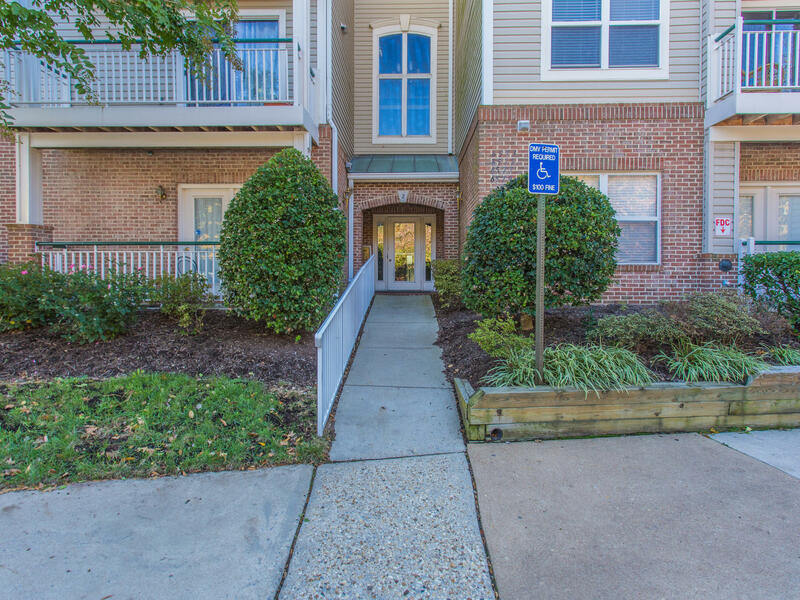 Island Creek is conveniently located off Beulah Street in the Kingstowne area of Alexandria. 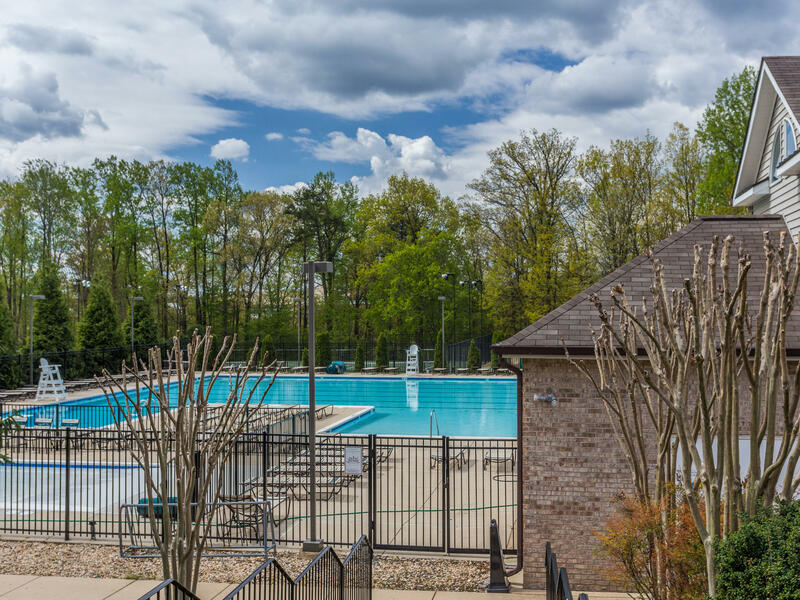 The neighborhood is known for its amenities and convenient location; two outdoor pools, tot lots, tennis, basketball, and volleyball courts are all available for residents to use. 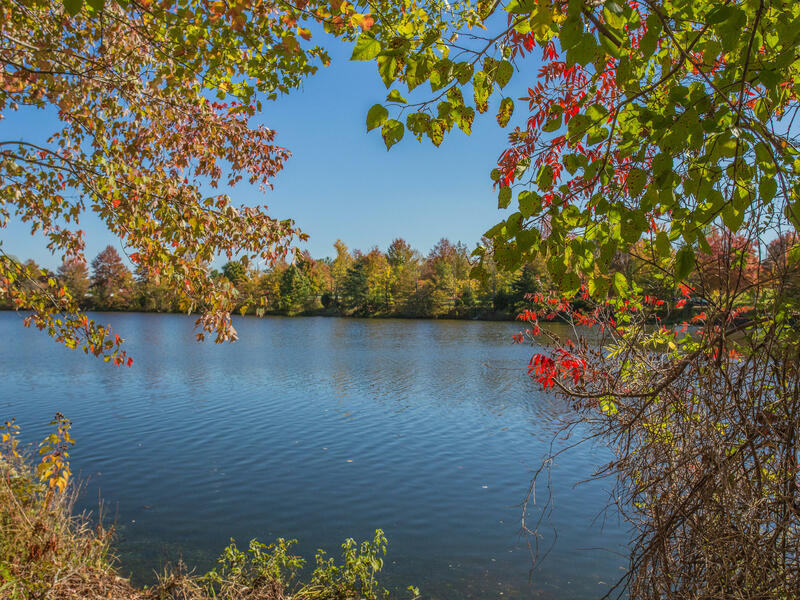 There’s an assortment of jogging and biking trails through the community and residents also enjoy a private lake. Island Creek features a clubhouse that can be reserved for parties or special events. Minutes to Fort Belvoir, public transportation and major highways this community is sought after because of its convenient location for commuters. The Springfield Town Center is just minutes from Island Creek and home to Top Shop, Michael Kors, Forever 21, Dicks Sporting Goods, Macy’s and many more. There are also numerous dining options in the town center; Maggianos, Nando's Peri Peri, Chuys, and Yardhouse just to name a few. 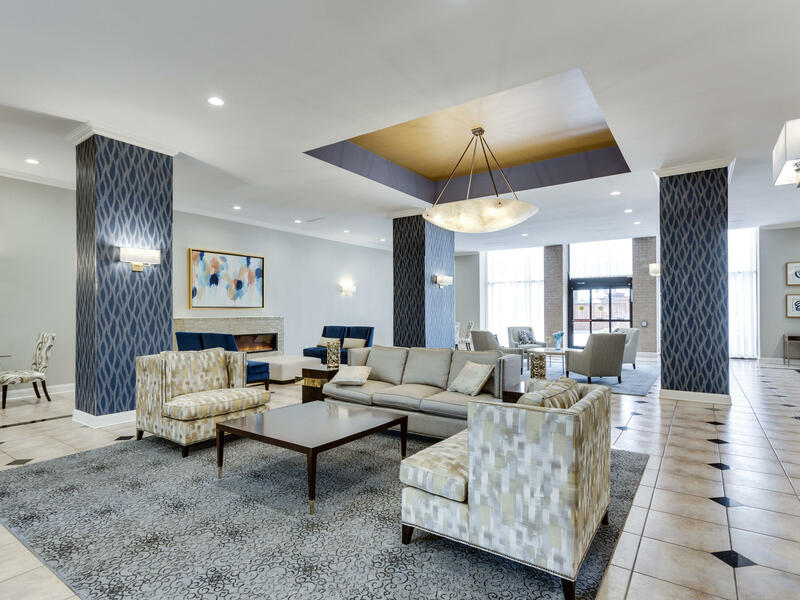 Hilltop Village Center is within walking distance of Island Creek and home to Wegmans, LA Fitness, Green Turtle, Burtons Grill and many other retail locations. Residents of Island Creek find access to daily needs, commuter routes, shopping, dining, and entertainment all very convenient. The following is a review of activity in Island Creek since November 2017. There are currently 7 homes for sale in Island Creek. Have you been thinking about selling your Island Creek home? Find out its value in the current market by visiting our home value tool for a free estimate. To learn more about Island Creek contact Amanda Davidson Real Estate Group 703.988.3151. 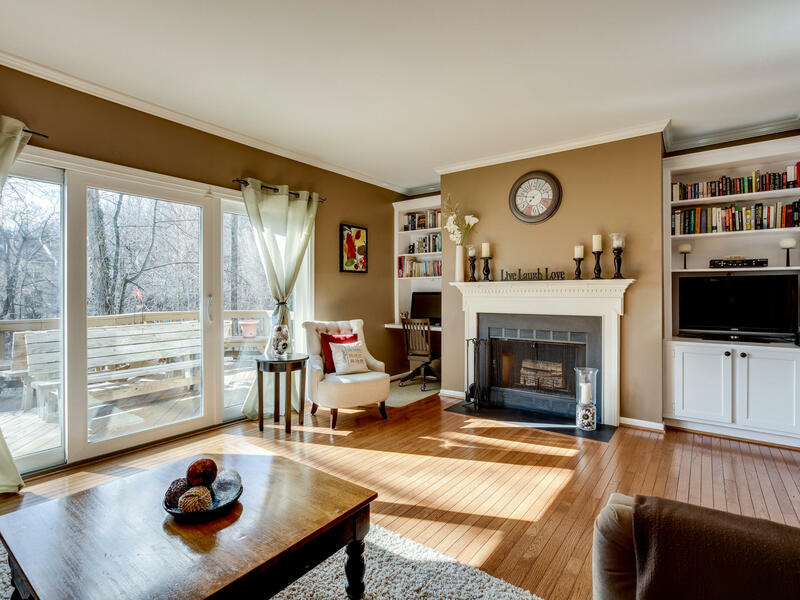 Chancery of Kingstowne is a highly sought after neighborhood in Kingstowne. The neighborhood is tucked away off South Van Dorn Street and Lake Village Drive. Constructed between 1995 and 1998 there are 170 condos in 13 secure access buildings. The floorplans range from 1-2 levels and 2-3 bedrooms. All of the residences have 2 full baths and a patio or a balcony. Square footage in Chancery of Kingstowne ranges from 1,170 to 1,505. There’s ample on-site surface parking in the neighborhood as well. 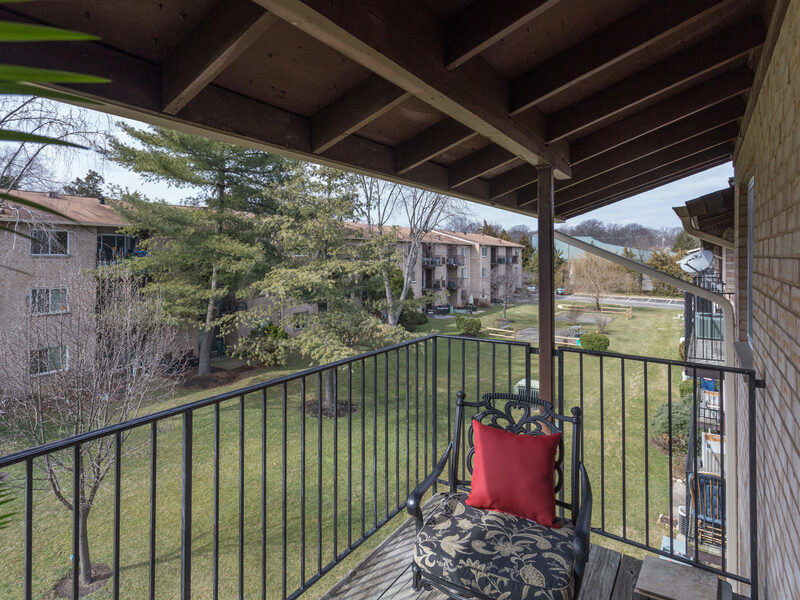 Looking For A Condo In Chancery Of Kingstowne? Interested in finding condos for sale in Chancery Of Kingstowne? Click that link to see the current listings. 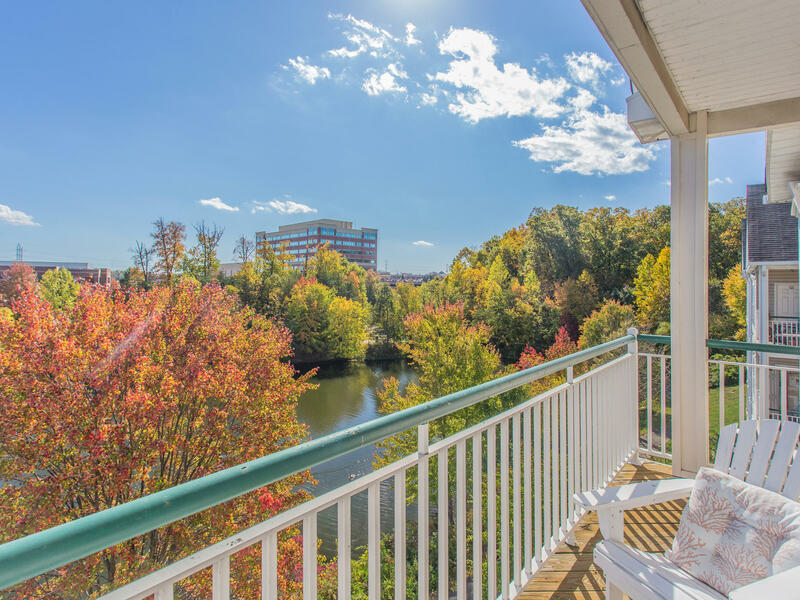 Did we mention many of the condos overlook Kingstowne Lake? It’s a beautiful setting and buyers find the water views to be a big selling point. 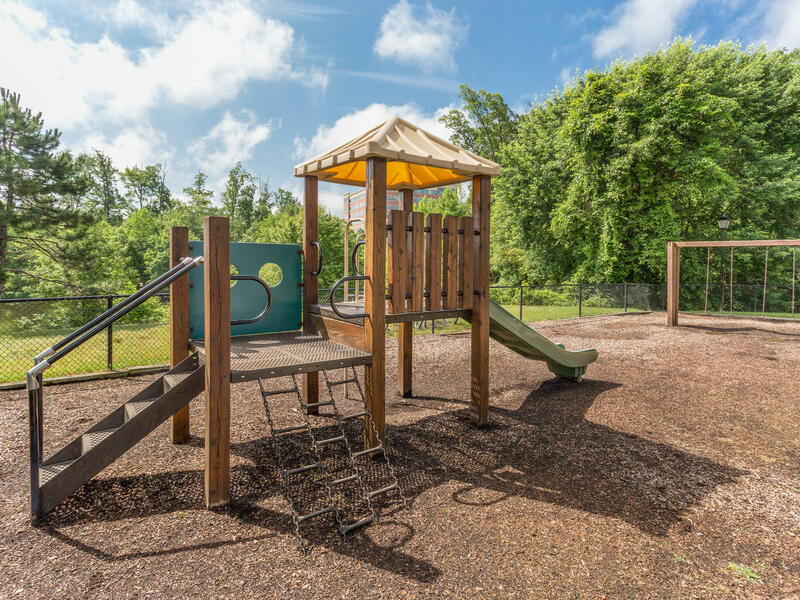 Residents also enjoy use of all the Kingstowne amenities; outdoor pools, tennis courts, tot lots, fitness center, and professionally landscaped common areas. The neighborhood is just a short walk to the pool and there’s a tot lot located right in the community. What’s Going On Nearby Chancery of Kingstowne? You can walk to Kingstowne Towne Center where you’ll find grocery stores, Kingstowne 16 Movie Theater, Bonefish Grill, Panera, World Market, HomeGoods, Macaroni Grill, Pasara Thai, World Market and many other retail and dining options. Hilltop Village Center is also nearby and home to the sought after Wegmans, don’t forget to check out The Pub while you’re there. Springfield Town Center is within minutes of the neighborhood and features retail, dining, and entertainment options. Commuters will find two metro stations nearby, Van Dorn and Franconia-Springfield both of which are the blue line. 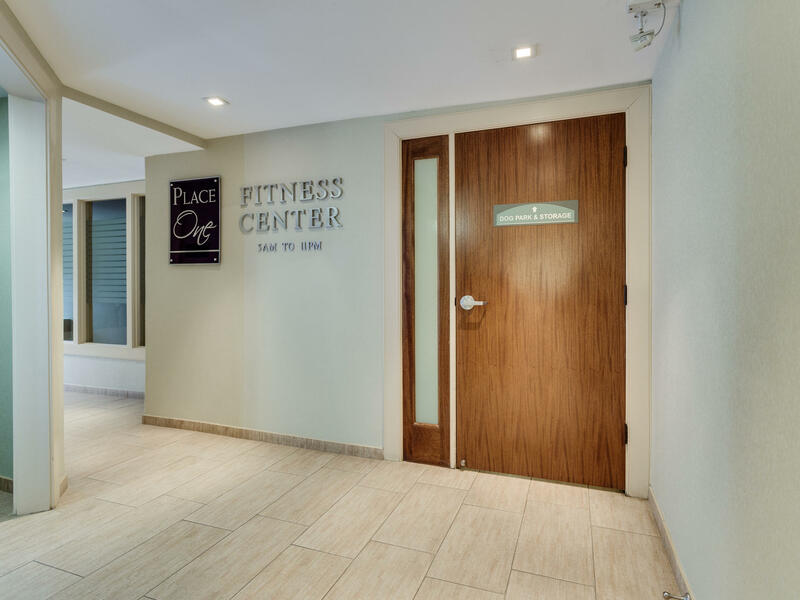 Access to 495, 95, 395, and Fairfax County Parkway is also very convenient from the neighborhood. Fort Belvoir, the Pentagon, Fort Myer, and the US Coast Guard on Telegraph Road are all easily accessible from Chancery of Kingstowne. Children living in Chancery of Kingstowne will attend Franconia Elementary, Twain Middle, and Edison High Schools. To see more information about these schools including test scores please visit the GreatSchools website. Review of activity in Chancery of Kingstowne since January 2018. 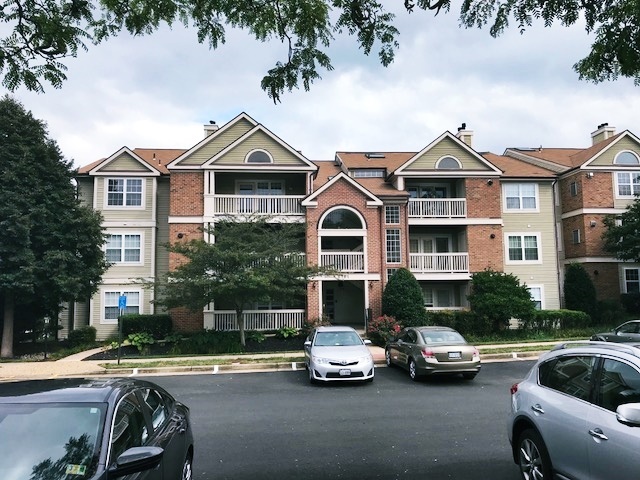 If you are interested in finding a condo in Chancery Of Kingstowne click on the link to see current listings. Our property information is a direct feed from the Bright MLS and is updated multiple times per day. Just have questions about the neighborhood? Reach out to us, we have experience representing buyers and sellers in Chancery of Kingstowne and are always happy to help. The number of homes sold in Kingstowne saw a large decrease as compared to last month but, available inventory has also decreased. The median sale to list price ratio remained consistent and days on the market decreased. Let’s check in on what happened in the Kingstowne market during September 2018. It is still a seller’s market in Kingstowne. Supply is not keeping up with demand, a trend we’ve witnessed throughout 2018. There are currently 69 homes for sale in Kingstowne. A decrease of 14 from this time last month. It’s again important to point out that the Crest Of Alexandria a 55+ active adult community has added new construction listings (7 at this time) making resale inventory even lower than the total active inventory. It goes without saying inventory remains low. A median of 8 days on the market is very telling that buyers are acting quickly. Buyers are however looking for value, sellers who overprice their homes are not seeing offers, their homes are sitting and becoming stale inventory. On the flip side, homes that are priced according to the market, have a reasonable amount of updates, and show well are moving quickly and multiple offers are still occurring. Positioning your home to appeal to buyers in the current market takes the right preparation and a custom marketing plan to showcase all it has to offer. The smallest details make the biggest impact when selling your home. If you’d like to know more about the Kingstowne market or just have questions reach out to us and let’s connect! We are a small boutique brokerage with an in-depth understanding of the Kingstowne real estate market. I not only work in Kingstowne, but I also live here too and I love the community. Receive a free home value estimate within minutes by visiting www.northernvalocalmarketvalues.com. Our home value tool is just a guide if you are looking for a precise analysis of the current value of your home nothing replaces the expertise of a local agent with years of experience selling homes. Reach out to us for a free consultation. Kingstowne is a planned community of over 5,300 homes but, because many locals consider 22315 the Kingstowne area that’s what we will be focusing on for the parameters of this market report. The condos that sold were located in Chancery of Kingstowne, Carrdinal Place, Eton Square, Stratford Place. How Does August 2017 Compare to August 2018? 12 condos sold in August 2017 with a median sale price of $288,450. Days on the market were higher, coming in at 11 and the median sale to list price ratio was 98.63%. Lack of inventory plays a factor in fewer condos being sold this year. The median sale price is an indicator of what the market has been experiencing this year with a healthy increase of 3.6%. There are currently 15 condos for sale in Kingstowne. They range from a 1 bedroom, 1 bath with 742 square feet priced at $233,750 up to a 2 bedroom, 2 bath with 1,314 square feet priced at $354,997. There are also new construction condos for sale at The Crest Of Alexandria, a 55+ community located off Telegraph Road. Only a few condos remain and a late fall delivery is expected. The inventory for Kingstowne condos remains low. Kingstowne as a whole is experiencing low inventory, you can read more about it in our neighborhood market update for August 2018. Condos that are properly priced, have a reasonable amount of updates, and show well are moving quickly. At the same time, even though inventory is low buyers are spotting an overpriced property quickly. If you are considering selling your Kingstowne condo do not try to chase the market and overprice it. Buyers just aren’t going for properties that are even remotely overpriced. As a seller, if your condo is priced correctly the market will react in your favor. When your options are creating demand for your property vs. becoming stale bread always opt to have demand! If you’re looking to buy a condo in Kingstowne it’s important to understand that inventory remains low. When a new listing comes on the market if it shows well and is priced correctly it’s going to move quickly. It’s very likely that it will sell quickly and go for at or even above list price. Don’t delay in making an offer and rely on your agent for advice on how to negotiate and make your offer stand out to the seller. 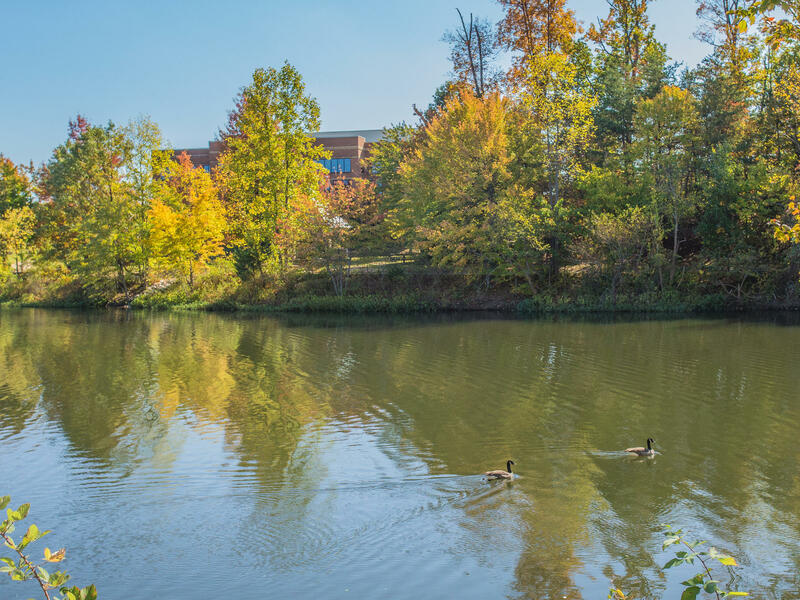 Each neighborhood within Kingstowne experiences different market conditions and its imperative to understand them before you decide on the terms of your offer. If you’re buying or selling a condo in Kingstowne and would like to work with an experienced agent reach out to us and let’s talk! We’re always happy to answer questions. Eton Square is located in the Kingstowne area of Alexandria. The garden-style condos have a brick and siding exterior with attractive archways. 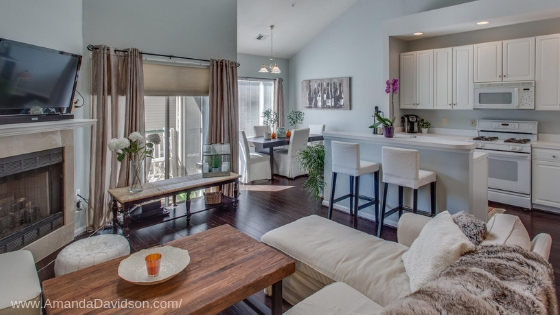 The generous amount of windows in the condos provide for wonderful natural light to fill each room. There are no elevators in Eton Square. Residents enjoy use of tennis courts, an outdoor pool, tot lots, and a fitness center. The neighborhood is conveniently located off South Van Dorn Street and Kingstowne Village Parkway. Living in Eton Square provides walkability to Kingstowne Towne Center. The center is home to two grocery stores, Kingstowne 16 Movie Theatre, Pasara Thai, East Moon Bistro. Bonefish Grill, Osaka, Home Goods, TJ Maxx, Cava and many other dining and retail locations. Commuting from Eton Square is also convenient – the neighborhood is within minutes of 495, 395, 95, and Fairfax County Parkway. There are two metro stations nearby, Van Dorn and Franconia-Springfield. Hilltop Village Center and Springfield Town Center are less than five minutes away both with plentiful options for shopping, dining, and entertainment. Whether it’s daily needs, entertainment, or commuting Eton Square puts you within minutes of all of them. Eton Square is located on either side of Kingstowne Village Blvd. Depending on which side you live on will determine which school children will attend. Schools associated with the neighborhood are Franconia Elementary, Hayfield Elementary, Hayfield Secondary, Twain Middle, and Edison High Schools. You can visit the Fairfax County school boundary locator to determine which schools are associated with an address in Eton Square. Visit GreatSchools for more information about these schools. The following is a review of activity in Eton Square since January 2018. Inventory constantly changes, check back often for new listings or reach out to us to have a customized listing alert created. You’ll be notified of new listings right away and won’t miss out on any properties. 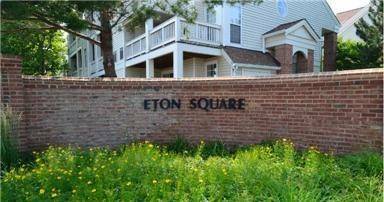 If you are considering selling your Eton Square condo and would like to receive a free estimate of its value in the current market visit our home value tool. This is just an estimate and doesn’t replace a precise market analysis. Reach out to us if you’d like to set up an in-home consultation to discuss your selling goals and receive a current market analysis on your condo. How Does July 2017 Compare to July 2018? 199 condos sold in June 2017 with a median sale price of $285,000. Days on the market saw no change and the median sale to list price ratio remained consistent, 98.02% in 2017. There are 294 condos for sale in Alexandria, the second month in a row that inventory has slightly decreased. The market has slowed since spring but, it remains a seller’s market. There seems to be an ongoing buzz about the market slowing and that translating to it crashing. That’s just not the case. The demand that occurred in the spring was not something that could or even should be sustained. Real estate ebbs and flows and this is typically a time of year where it slows as compared to spring. Buyers are still buying and inventory is still low but, sellers do need to be aware that it’s not the feeding frenzy we saw in the spring. Buyers are looking for value and sellers who overprice their homes are going to sit on the market. Buyers are quick to spot an overpriced home and the market will react. Think like a buyer when you’re preparing your home for the market. Homes that sell quickly have similar characteristics; they show well, are reasonably updated, and are priced according to the market. If you’re buying a home the current market you still need to be prepared to act quickly. Median days on the market of 16 is very low. If a property comes on the market that shows well and is priced correctly it’s still very likely you won’t be the only interested buyer. 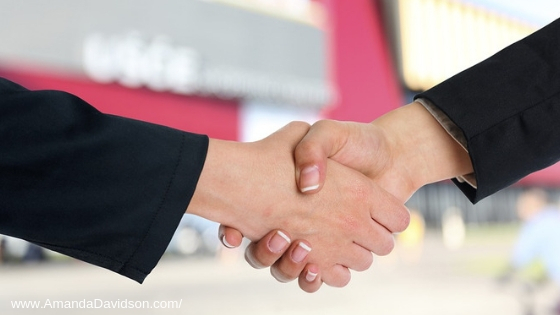 Being pre-approved and able to make an offer promptly remains important. Sellers still aren’t having to negotiate with buyers by much, that, of course, doesn’t apply to every property but, with an almost 98% sale to list price ratio it’s clear many sellers are getting very close to, if not full list price. 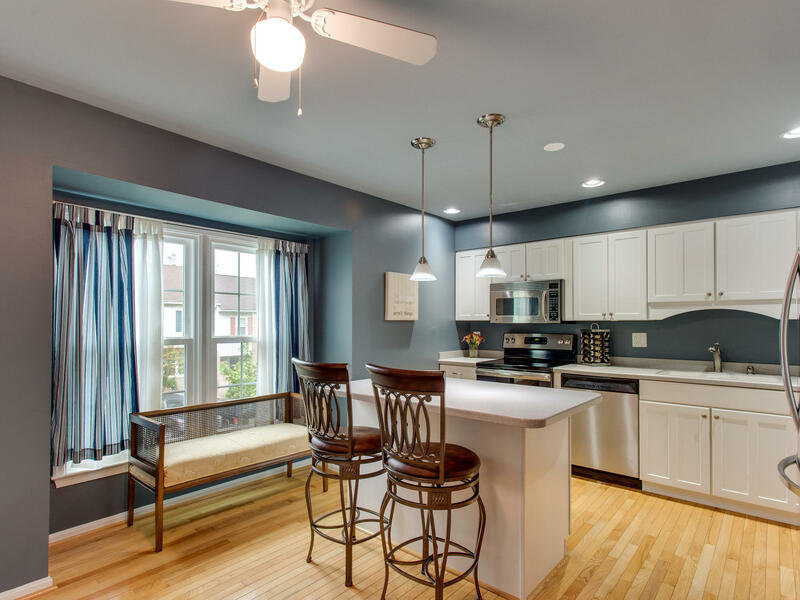 If you’re a seller in Alexandria working with an agent that conducts pre-marketing activities is a great way to have buyers waiting to take a tour before your home officially goes active. The more interested parties, the higher the demand. Pricing will always be imperative, regardless of the current market conditions. Do not be the home that’s overpriced and sits on the market turning into what we like to call stale bread. No one pays top dollar for stale bread! The details of preparing your home for sale, properly pricing it, and launching the right marketing plan will take you from listed to sold in the shortest time possible for the highest sale price possible. To receive a free estimate on what your condo is worth in the current market visit our free home value tool. If you’re buying or selling a condo in Alexandria and have questions reach out to us and let’s connect. We’re always happy to help!